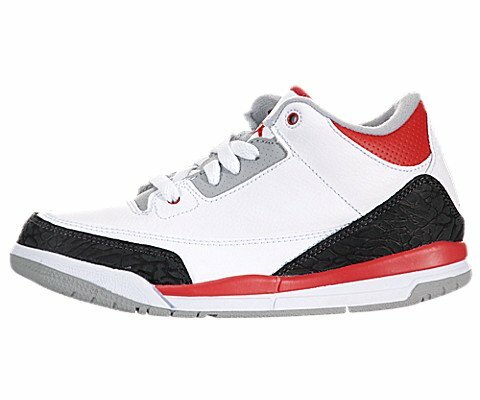 Jordan III (3) Retro (Preschool) - White / Fire Red-Sliver-Black, 12.5 M US by Jordan at Cheap AJ Retro Shoe Sale. MPN: 429487-120. Hurry! Limited time offer. Offer valid only while supplies last.